Merino wool is wool that comes from the Merino breed of sheep. The reason that it is so popular is that Merino wool is very fine and soft to the touch. Other wools can feel scratchy and coarse. Merino has become very popular amongst hikers, skiers and backpackers alike, because of the unique qualities of the wool compared to cotton or synthetic fibers. it wicks away moisture from the body. Have you ever left a worn cotton or synthetic for a few days in the bottom of a backpack, and then open it up to a horrible smell? This funky smell is due to bacteria in the fabric breaking down. In wool t-shirts, you’ll avoid this problem thanks to the antibacterial properties. 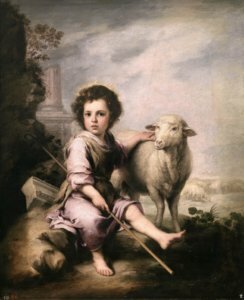 Merino sheep originated from Spain, where they were prized for their fine, soft wool. The Spanish were so protective of their Merino sheep that the punishment for exporting a Merino sheep was death. Luckily, this state of affairs didn’t last long, and soon Merino sheep were exported across the world to Australia and New Zealand. Most of the world’s Merino wool is now produced in these two countries. 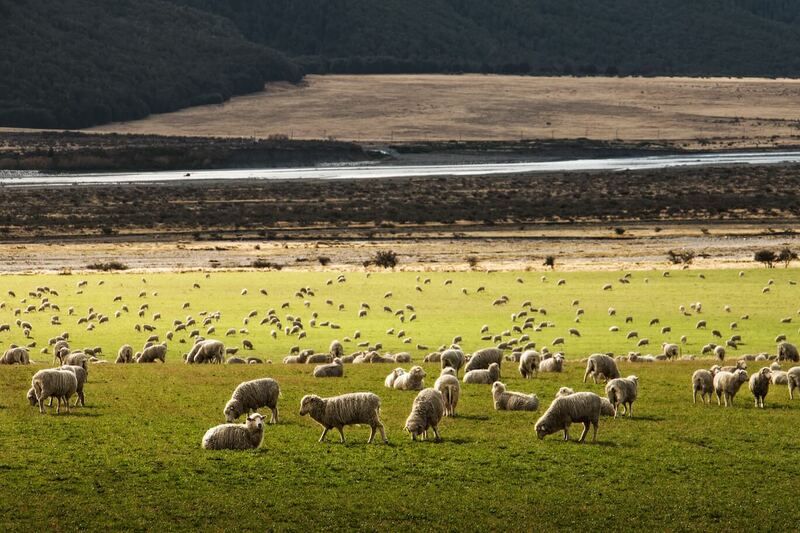 Australia, in particular, produces about 80% of the world’s supply of Merino wool, followed by New Zealand. South Africa is also a major producer. Merino wool fibers are much smaller in diameter than other wools. 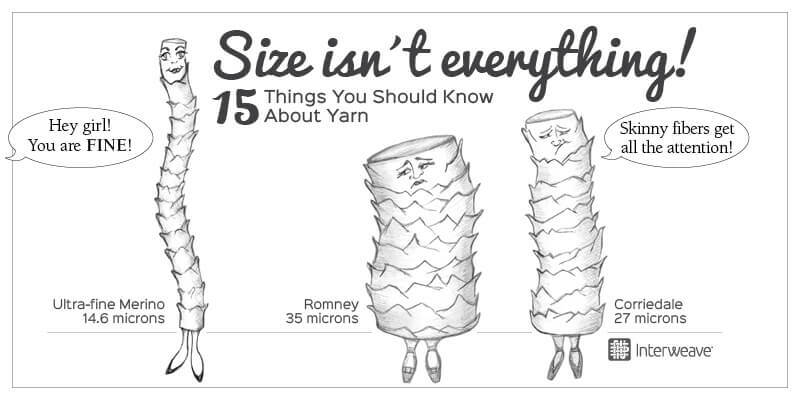 For example, the width of the fiber is often measured in microns. A human hair is about 50 microns in diameter. A typical, high quality merino wool garment will have merino wool at a diameter of 17.5 microns, or less than 2.8 times the width of human hair. This means that merino wool will feel soft and smooth compared to other types of wool. As a general rule, wool will start to feel itchy above 22 microns. Another consequence of the small fibre diameter of Merino wool is that Merino wool garments aren’t bulky. The first time I wore a Merino wool t-shirt, I thought I’d freeze to death, as it felt so thin. The insulating properties of wool means that a comparable lightweight fabric will keep you warmer than a much heavier cotton t-shirt. Typically, you’ll see fabric weights ranging from 150 – 400g/m2, whereas 150 g/m is a great everyday t-shirt weight and 400g/m2 is only really necessary in truly arctic conditions. For example, I have some 200 g/m2 baselayer leggings that are great for cycling in Berlin winters. What Type of Clothes Are Made in Merino? You’ll see everything from winter coats to underwear produced by Merino wool brands. However, at Merino Wool Rocks, we feel that merino excels as a baselayer and a mid-layer. Baselayers such as t-shirts, leggings, socks and underwear will keep your skin warm and dry, which in turn will reduce chafing and discomfort. This is particularly important if you’re on longer hike, camping in the outdoors or travelling for months out of a small backpack. If you’ve never tried out merino wool clothing, I’d recommend starting with a pair of socks, as you’ll find the improved performance and lack of odour from them revolutionary. Generally, most brands produce machine washable merino wool garments, as long as you wash on low and line dry. You can find more about washing merino wool in our article on the topic. I’ve seen some lines of garments that can only be dry cleaned, but these tend to be more the exception than the rule. Merino is, in my view, the superior fabric if you want to use the highest performing fabric in a wide range of unpredictable environments. But what about the ethical considerations about using an animal product as opposed to a man-made fabric such as nylon or plant-based fabric such as cotton? Obviously, if you’re not comfortable using any animal products such as wool or leather, then that rules out merino wool entirely. But, if you are in principle comfortable with wool, but want to source sustainable, ethically produced wool, there are a few thing you can look out for. The first is ‘mulesing-free’ wool. Mulesing is the practice of removing strips of wool bearing skin around the buttock of a sheep in order to prevent flystrike. Animal rights activists have criticised the practice as human, and many brands now only offer mulesing free wool, including Icebreaker, Finisterre, Darn Tough and Patagonia. The second is the environmental impact of the fabric. Merino wool itself is a biodegradable fabric, unlike synthetic fabrics such as polyester or nylon. You can think of sheep as a natural way of turning grass into high performing clothing! One global initiative to promote both environmentally sustainable rearing of sheep and the humane treatment of sheep is the Responsible Wool Standard. Once the sheep are raised humanely in an environmentally sustainable fashion, the next factor is whether the garments are manufactured in a fair fashion. Some brands such as Darn Tough only produced their socks in Vermont, USA, whereas Finisterre has its production facilities in Portugal. At the same, the fact that a company produces their clothing in an underdeveloped country is not, per say, a bad thing, as it can be a valuable source of employment and economic growth in those areas. The critical factor is how they treat their employees.